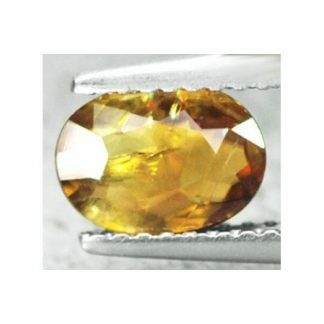 Don’t miss this natural looseTitanite Sphene gemstone, for sale on our online gemstone store at wholesale price. 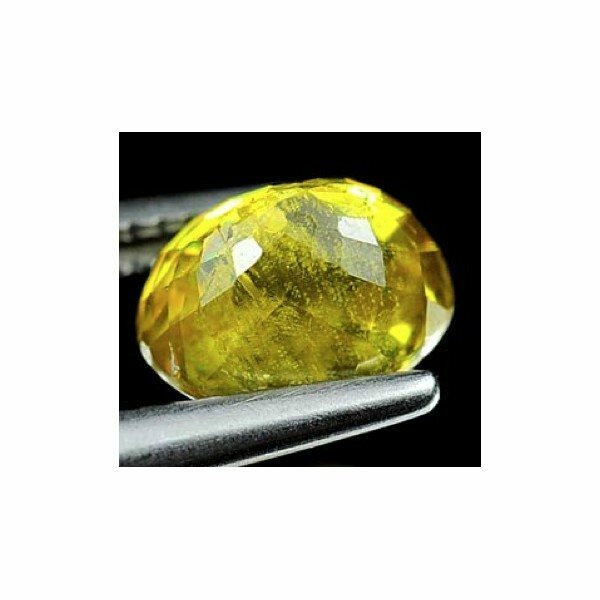 Completely untreated and genuine, it was earth mined in Madagascar. 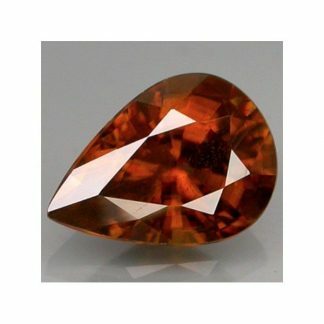 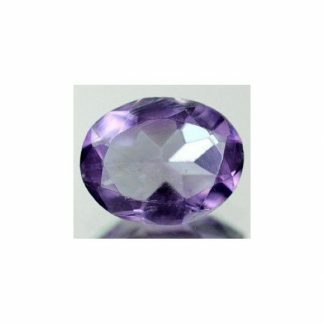 This natural colored gemstone weight over one carat, it comes with a well proportioned and polished oval faceted cut with good size. 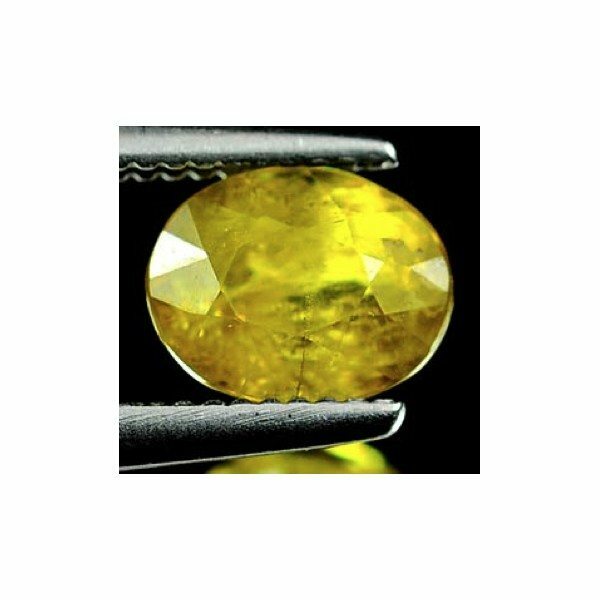 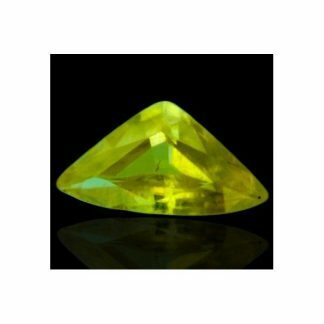 This beautiful titanite sphene present an attractive yellow color hue with some tint of green, strong saturation and medium color tone, with good luster and fire with red sparks that makes this natural colored gemstone really attractive and eye catchy. This Sphene has transparent clarity with little visible inclusions into the crystal which doesn’t compromises the beauty of this rare natural gemstone. 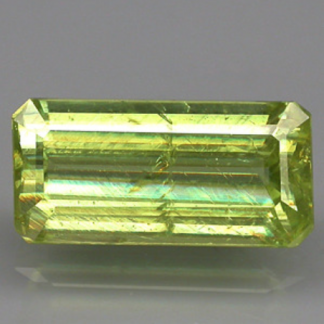 Dimensions: 6.5 X 5.2 X 4.3 mm.